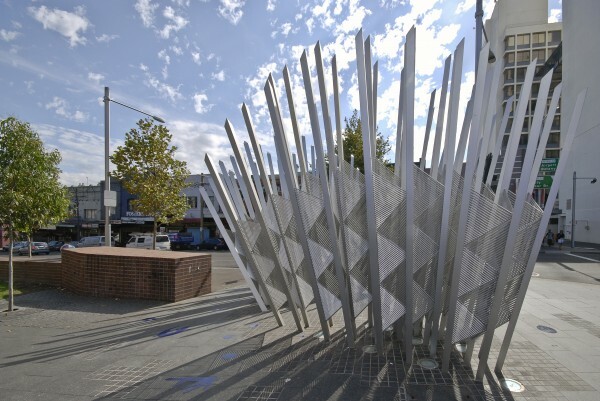 United we stand, divided we fail the future was created by collaboration between Bronwyn Bancroft and Dale Jones-Evans with input from the local community. 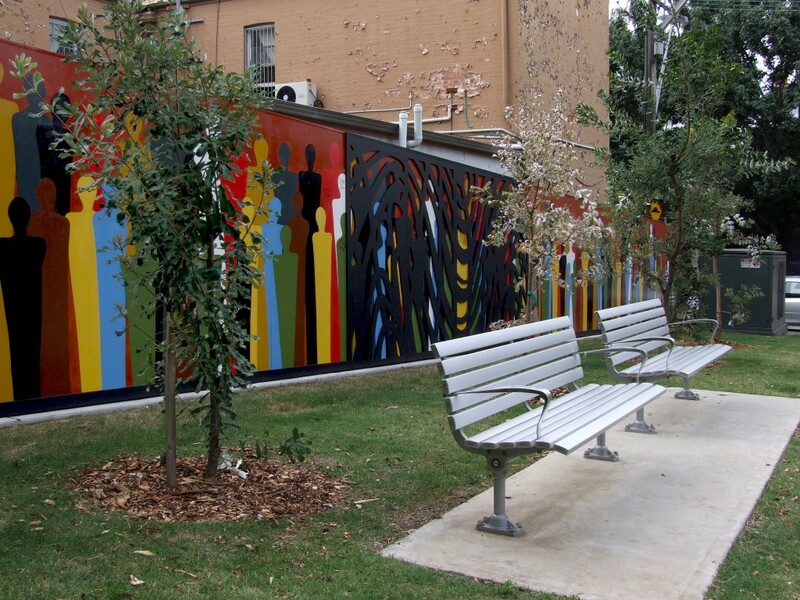 This bright ‘fence’ forms a backdrop to the Hugo Street Reserve in Redfern. 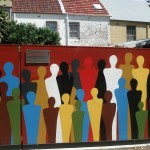 The work depicts Bronwyn’s many-coloured custodian forms representing the spirits of the land protecting the people now. 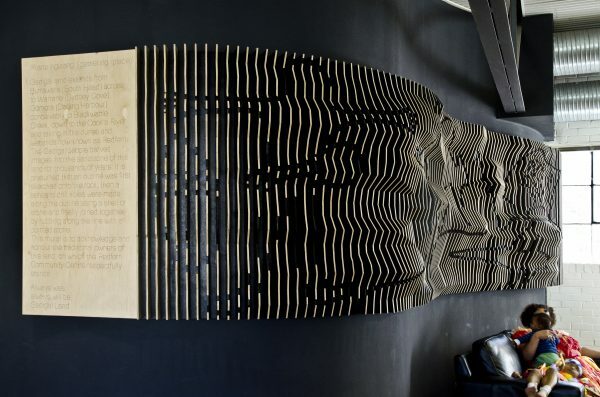 Dale Jones-Evans’ laser cut screens make a kind of foliage of abstracted filtered light patterns. 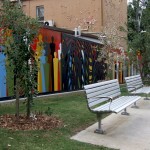 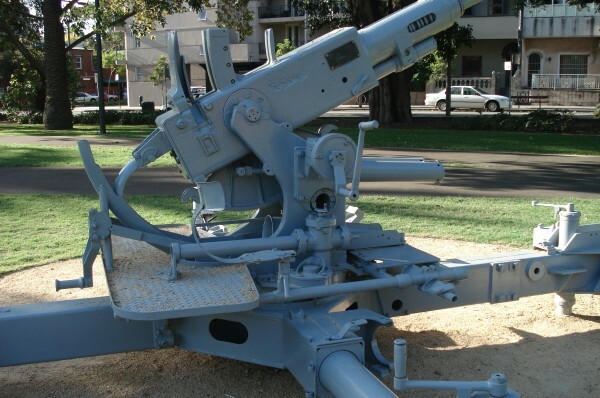 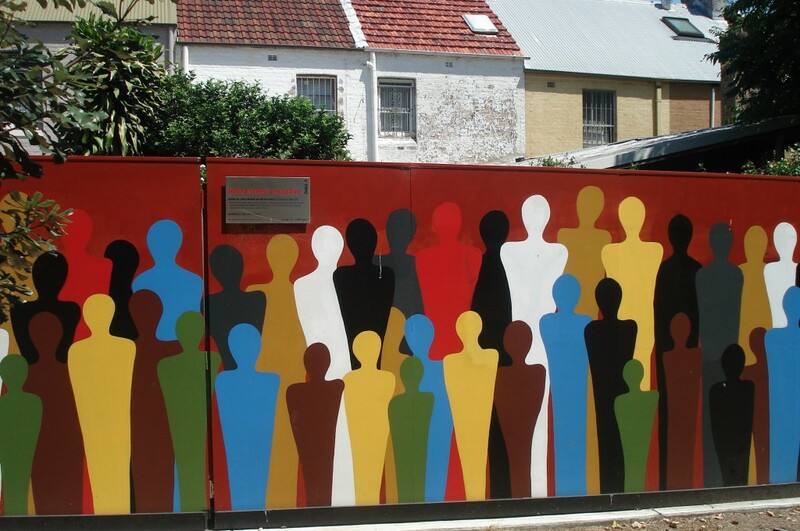 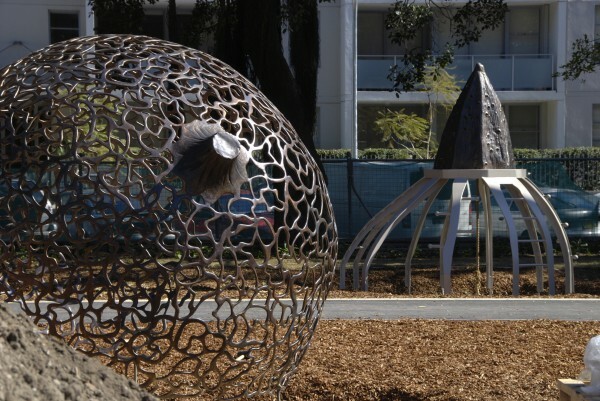 This work was commissioned as part of the City’s upgrade of Hugo Street Reserve. 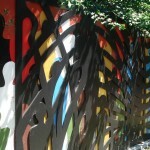 Local children were involved in painting the spirit forms, which were developed as stencils . 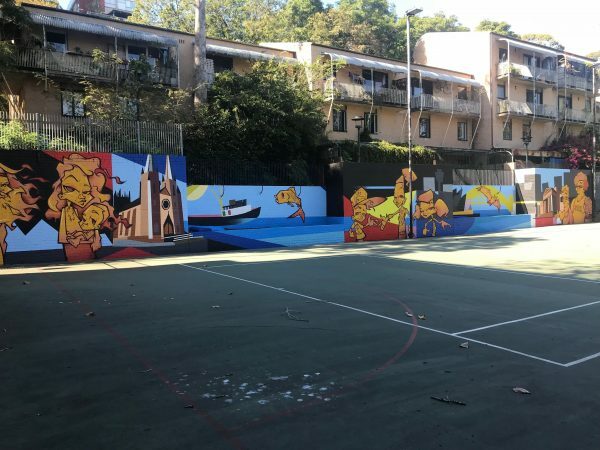 Bronwyn Bancroft creates her own signature style of contemporary artwork which continues to be exhibited nationally and internationally. 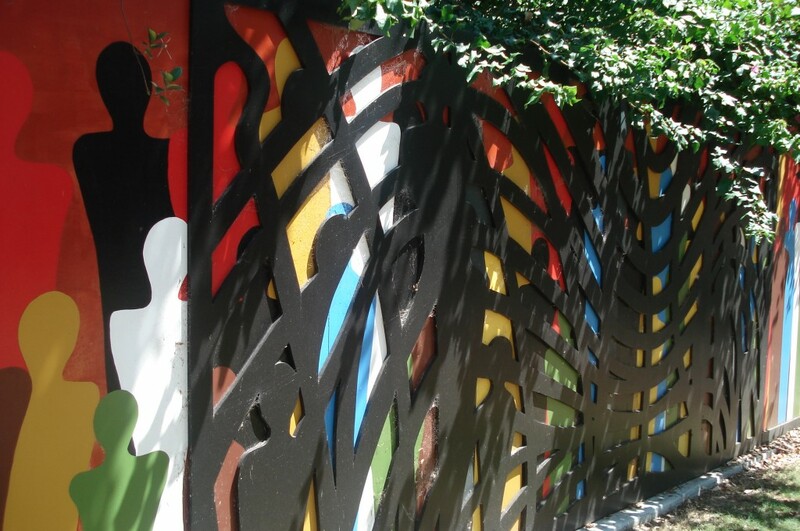 Over the past 30 years she has had a diverse artistic practice including public art commissions, imagery design for private commission, and both authoring and illustrating children’s books.